Established with the aim to provide the students with experienced faculty and staff members, polished course structure and student centric environment at the college Thames International College has been successful at enabling students to create an environment where they learn because of their interest rather than compulsion. The college assists the students in choosing and shaping their career from the very beginning providing them with the practical as well as theoretical knowledge of the professional world. 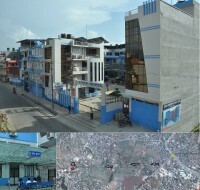 The college located in Old Baneshwor represents a lifestyle appropriate for the students and provides not only quality education but also choices for accommodation and transportation and is in the area where these two facilities along with shopping and entertainment ventures are available in plenty. The experienced academicians that constituents most of its faculty members are dedicated at imparting quality education to the students to hone their skills and talents and increase their confidence so in order to make them able to take up every challenges in real and practical world. Thames International College has a well stocked fully catalogued automated library system that not only enables students to expand their knowledge but also encourage them to pursue independent learning. The college area is has a free Wi-Fi facility as well. The college also organizes discussion programs, workshops and seminars inviting some of the popular and successful people in their respective fields to speak about their experiences. The college encourages interactions between the teachers and the students and also among the students themselves. The sizes of the classroom are small (in terms of number of students) which makes it easier for interaction between teacher and each of the students and the teacher could give personal attention to each of the students to prepare them for successful academic career. 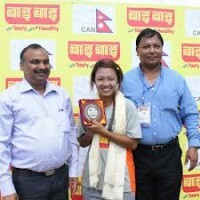 The college offers courses in Bachelor of Business Administration (BBA), Bachelor of Information Management (BIM), Bachelor of Arts in Social Work and Rural Development (BSW and BA.RD) with affiliation to Tribhuvan University (TU).